RICHMOND, Va. (May 19, 2016) – Mike Mulvihill, Padilla executive vice president and leader of the agency’s Corporate practice, has been honored with the 2016 Thomas Jefferson Award for Excellence in Public Relations from the Richmond chapter of the Public Relations Society of America (PRSA Richmond). The award recognizes the achievement of a seasoned public relations practitioner in Central Virginia who has made an ongoing commitment to advancing the profession. Previously, Mulvihill served as president of one of Padilla’s predecessor agencies, CRT/tanaka (founded as Carter Ryley Thomas). For more than three decades, he has worked with a wide range of clients including Fortune 500 companies, government agencies, food commodity boards, colleges and universities, banks, professional services, nonprofits and high technology firms. 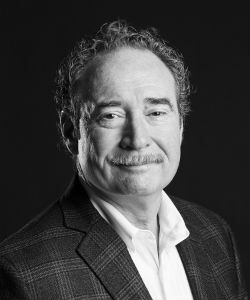 His work has received the public relations industry’s top awards from the Public Relations Society of America (Silver and Bronze Anvils), the International Association of Business Communicators (Gold Quill), The Holmes Report (SABRE Awards) and PRWeek Awards. Along with professional achievements, the Thomas Jefferson Award also recognizes senior PR professionals for their community involvement. For the past five years, Mulvihill has served as chairman of the advisory board for Virginia Local Initiatives Support Corporation (LISC), which equips struggling communities with the capital, strategy and know-how to become places where people can thrive. Working with local leaders, Virginia LISC invests in housing, health, education, public safety and equipment. Mike earned an MBA and a bachelor’s degree in public relations from the University of Dayton. He also is accredited in public relations (APR) by PRSA.